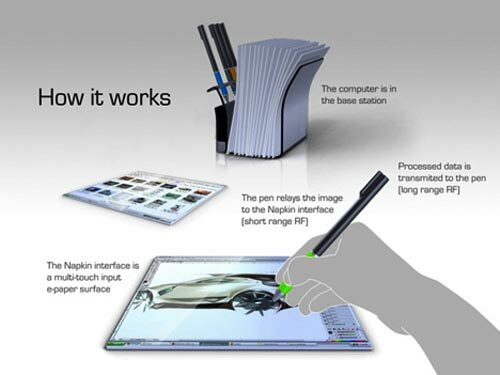 Check out this cool concept from designer Avery Holleman, this could possibly be the feature of computers, although at the moment it is a concept design. 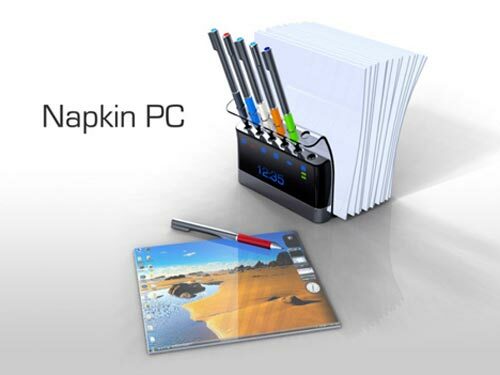 The Napkin PC is designed for group collaborations, and ideal computer for working together and sharing information. 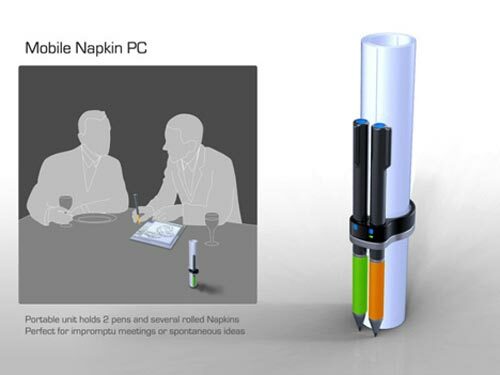 Each of the pens transmits your drawing on the napkin to the base station which is a PC. The information is then processed and displayed on the other napkins. 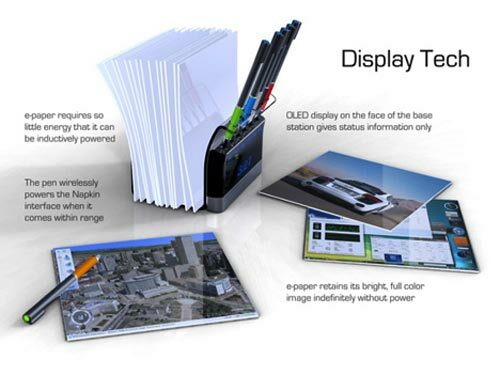 Each of the napkins is an editable e-ink display, which can re-used. 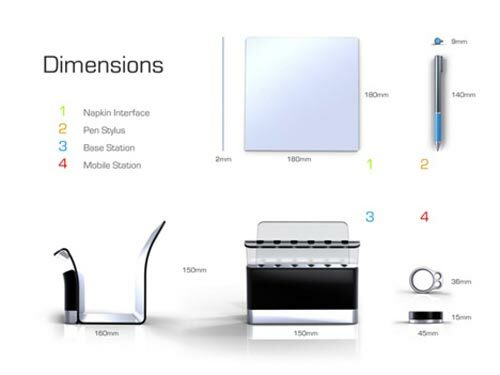 This is a great concept, but I think it will be a few years yet before we see this type of technology being used.